There is yet another delay in the completion of the second phase of a police barracks for the San Pedro Police Formation. The failure to complete the works in the building has been attributed to the recent rains, which impede the progress of labour, particularly outside of the structure. 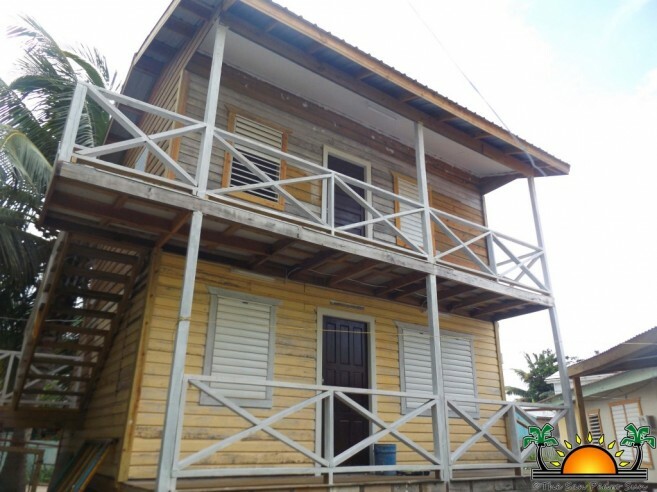 Town Councillor and contractor Gabriel ‘Gaby’ Nuñez had previously expected to complete the building by Monday, June 6th, but according to him, due to lack of man power, it did not happen. However, he stated that very minimal work is left to do. “The two main touches left to do in order to finish the building is painting the outside walls and covering the floor with marley. We have not been able to do any painting due to the recent bad weather,” said Nuñez. He also commented that even though all plumbing and wiring works have been completed in the building, they are still asking for assistance to get a meter socket to install outside of the building in order to supply the structure with electricity. Additionally, Nuñez said that there is room for donations as they will need an air conditioning unit, especially for the ground floor, which will host a computer/conference room and an office for members of the Central Investigation Bureau. Meanwhile the top floor will still accommodate three officers and a separate bathroom. Nuñez indicated, that the completion of the barracks is expected to be by the end of the week if weather permits. For more information on the project and how to donate visit the San Pedro Town Council offices on Barrier Reef Drive, contact Councillor Nuñez at 605-0976 or the San Pedro Police Formation at 206-2022.